Undergrad graphic design project: Design a sports poster using a word, its dictionary definition, and a sports photo. Assignment: Design a sports poster using a photo, a word, and its dictionary definition. 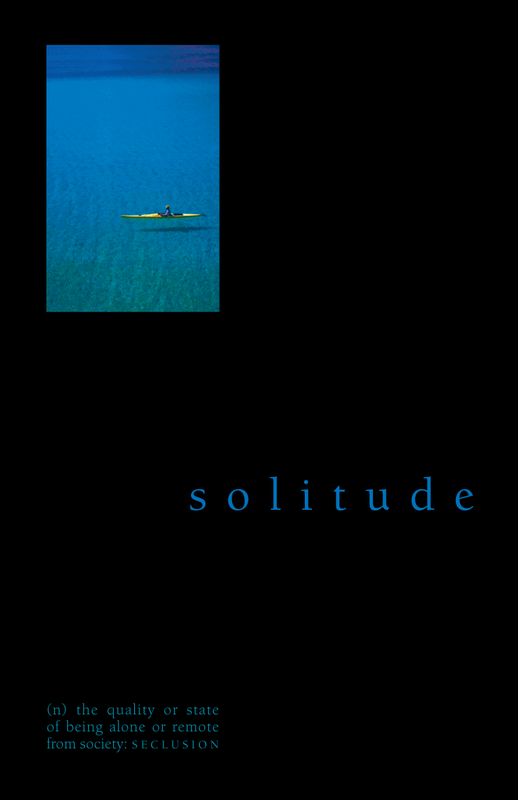 I used the proportions and relationship in the kayak photo to determine the placement of the word "solitude,"
and aligned the definition below the photo, creating a visual representation of the concept.